The Photoshop Darkroom 2: Creative Digital Transformations is now available for pre-orders on Amazon. 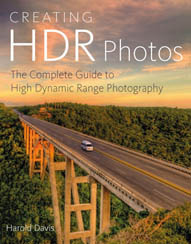 Check out this link for a sneak preview—and here’s the Amazon link for our new Photoshop book. 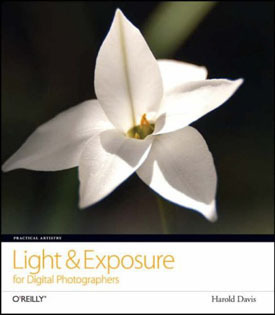 See what people have to say on Amazon about our first Photoshop Darkroom book (twenty 5-star reviews is not half bad!). Diffusion, photo by Harold Davis. View this image larger. Briefly noted: The sun shining through pockets of fog in this woodland valley created a perfectly diffused lighting source. I used a long exposure and a small aperture for high depth-of-field so I could fully capture the effect of going from the darker details of the path on the valley floor to the diffused sunlight higher up in contrast to the tree trunks. Exposure data: 19mm, 15 seconds at f/22 and ISO 100, tripod mounted. 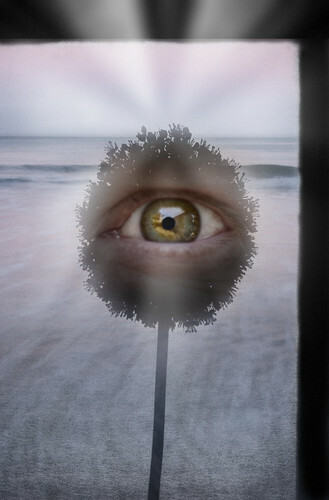 Eye Pluribus, photo by Harold Davis. With two working parents and four kids, two of the kids with special needs, my family life is often fun but seldom tranquil. Particularly upsetting, we’ve spent much of this year in hearings with our school district about the appropriate special education placement for Julian, our 13-year-old. So in this insane hubbub of everyday life, meeting the mortgage, paying for health insurance, and finding time for each of the kids, where does the serenity to photograph come from? Why do I make images? I photograph for solace, for escape, as my profession, and as my joy. Photography takes me away from the mundane, helps me understand who I am and why it all matters. For me, to photograph is to doodle, to create a daybook out of bits and bytes. I create images for that moment of joy when something I’ve looked at a million times is seen differently, as it has never been seen before. I photograph to reveal the unseen, and to build a bridge to the impossible. I photograph because I must. This post originally was originally sent to my subscription email list (follow the link to subscribe). Here’s the back story about how I made the image at the top of this post. Poppies, photo by Harold Davis. 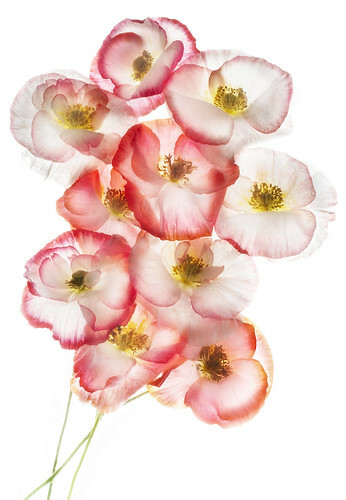 Briefly noted: I photographed these poppies (Papaver Rhoeas) for transparency by backlighting them using a lightbox. Exposure data: 50mm macro, six captures at shutter speeds ranging from 10 seconds (lightest) to 0.3 of a second (darkest), each capture at f/32 and ISO 100, tripod mounted, captures combined in Photoshop using layers and masking. 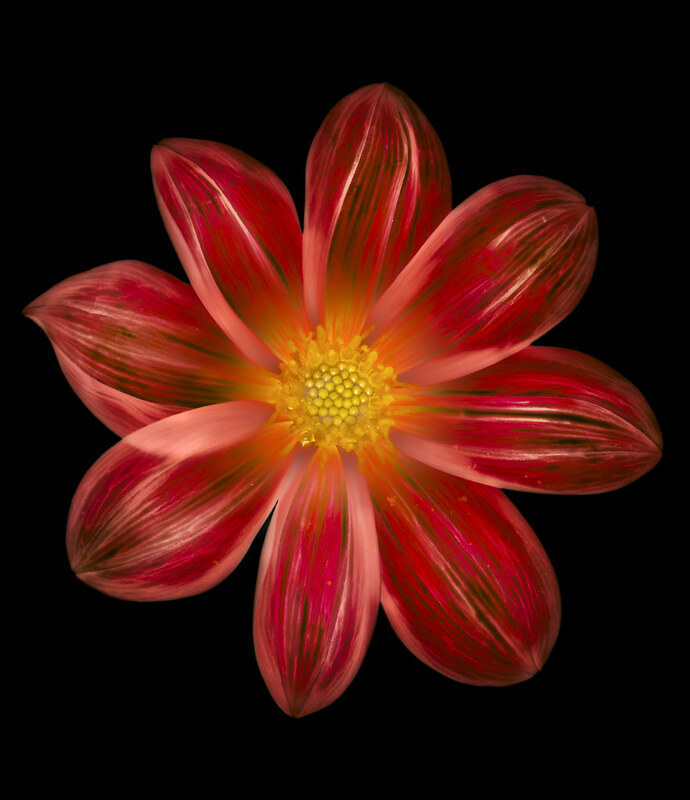 I placed this Dahlia from my garden on a black background, and lit it from the front using a small LED flashlight. In Photoshop, I combined three exposures to make sure the background went entirely black—and to keep the detail in the flower at the same time. Exposure data: 50mm macro, 3 exposures combined using Photoshop layers at 1 second, 2 seconds, and 4 seconds; each exposure at f/32 and ISO 100, tripod mounted. Briefly noted: This tulip was great fun to photograph. I used back lighting to make it seem like the core of the flower was on fire. 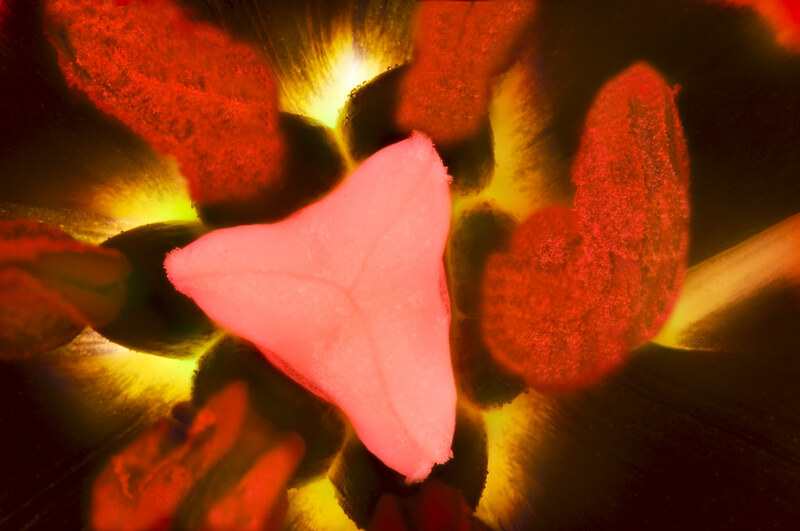 At the same time, I bracketed exposures (later combined in Photoshop) to capture the dynamic range of the darker front of the flower, and generated a little fill lighting with a small LED. Exposure data: 200mm macro, 36mm extension tube, four exposures ranging from 1 second to 8 second, each exposure at f/36 and ISO 100, tripod mounted. Hand Colored Christianna, photo by Harold Davis. My latest column on Photo.net is about aging photos—intentionally giving contemporary digital photos a simulated aged look. Enjoy! If you are the kind of person who likes to visit antique shops—or stores posing as antique shops—you may have noticed furniture that is intentionally “antiqued”. In a similar way, the process of aging a digital photo means intentionally making the photo look old so that it resembles an antique image rather than a contemporary one. Harold Davis believes that “aging” photos is a matter of aesthetics and depending on the image, can do a lot to enhance the subject. He goes over a few different processes and techniques to teach you how to “age” your digital photos. Couch, photo by Harold Davis. View this image larger. This photo shows a detail view of the leather couch in our living room. The kids love to jump on it, and it has definitely seen better days. We’ve made a vow: we are not replacing another couch until the kids are old enough so they won’t destroy it. I digress. One of the things I like best about photography is the opportunity to take simple, everyday things and make them look like something completely different. What do you see in this couch photo? A dirty mind is a great consolation. Or is it just me? Along a similar vein, you might check out a couple of shots notionally of plumbing. Besides the image in the linked story, here’s another toilet shot, this one in high-key monochrome. It’s very exciting for us. 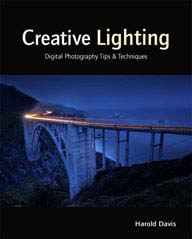 Our new book Creative Portraits: Digital Photography Tips & Techniques made the bestseller lists on Amazon today. Creative Portraits was number one of all the books on Amazon in the Arts & Photography category, and the number one seller in Digital Photography as well. Creative Portraits is number one! Overall, Creative Portraits made it into the Amazon top 100—which is pretty heady stuff for a photo book. More typical titles in the Amazon top 100 are books like The Girl Who Kicked Scorpions. Well, you know what I mean. Really popular books. Many people helped make this possible. First and foremost, Phyllis who stayed up late at night after the kids were in bed and did her fantastic book-design magic. The people at Wiley who know a thing or two about book marketing. Our agent Matt Wagner. All the models and regular people who let me experment with portraiture, and never complained even when I asked them to do the impossible in posing. My kids who let me photograph them, and complained only a bit. Other photographers who made lighting suggestions. 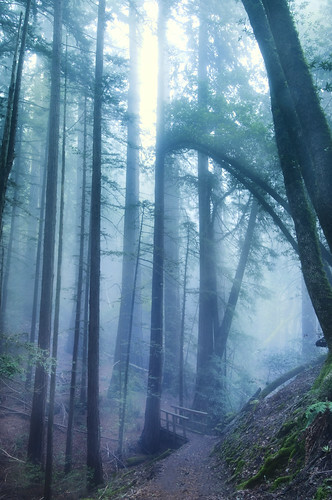 The great photography Meetup groups in the San Francisco Bay area. The list goes on—this is the kind of thing that should have gone in the book’s acknowledgements, but we didn’t have space. So I’ll say it here loud and clear: thank you all very much! Kirsten, photo by Harold Davis. Briefly noted: Kirsten has a mischievous twinkle in her lovely eyes. As soon as I saw her I knew I wanted to make a portrait that did her justice. Her eyes, of course, would anchor the portrait, ever so nicely framed by the saucy twist in her hair. Mischievous twinkle or not, I think there’s a veiled curtain of sadness that lurks behind the sense of humour and beauty Kirsten shows the world. 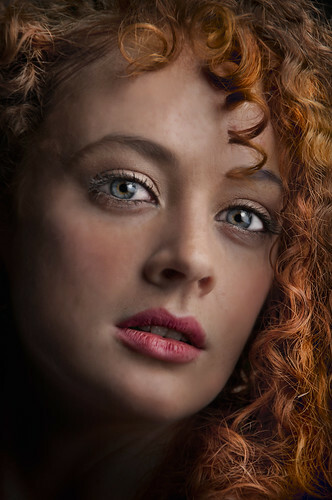 For some of my thoughts about making portraits, and some portraiture techniques, check out my new book Creative Portraits: Digital Photography Tips & Techniques. Photon Worshippers, photo by Steven Christenson. Congratulations to my night-shooting buddy Steven Christenson, whose Photon Worshippers (above) is the winner of the Royal Observatory (Greenwich, UK) 2010 photo competition in the category People and Space. You can read the details on Steven’s Star Circle Academy blog. 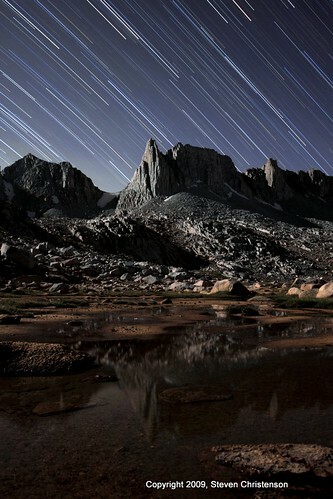 Steven’s star trail photo Granite Park (below) was also short-listed for the competition. As you may know, Steven will be teaching night photography with me at the Star Circle Workshop in the Alabama Hills of the Eastern Sierra, California in early November. Here’s information and registration (an early registration discount applies through September 11, 2010). Steven’s prize-winning photo Photon Worshippers shows a well-known sea-stack formation with an arch off the Pfeiffer Big Sur beach in California. For a brief time, near the winter solstice, the setting sun casts its rays through the arch. Steven’s ability at planning photography around astronomical events can be seen in this photo, as well as his personality: he is inclined to take things one step further—often with unexpectedly creative results. In the case of this photo, Steven saw that the entire scene could be better captured if he found an unusual, high vantage point, often a dangerous and difficult thing to do. Figure Study, photo by Harold Davis. Briefly noted: These are fair-skinned models painted in silver and gold. Monochromatic conversion gives the impression that the skin tones are much darker than reality. La Chambre Noire Photoshop, photo by Harold Davis. 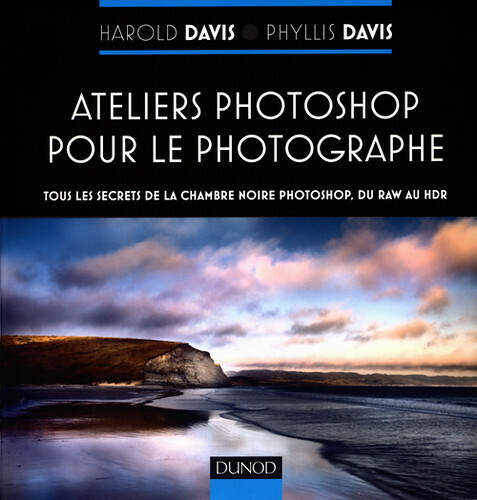 We’re very excited to have received copies of the French translation of The Photoshop Darkroom. A great deal of effort went into this translation, and we are gratified by the results! Now look out for The Photoshop Darkroom 2 (coming in early 2011). Silver and Gold, photo by Harold Davis. View this image larger. This shot of two models in metallic body paint didn’t seem to present any particular post-processing difficulties. But the devil, as they say, is in the details. A close-up view of the shot on my 30 inch wide monitor showed a band-aid under the gold paint on one gold finger. When a photo is as graphically simple as this one, the flaw would have spoiled the show. Phyllis gave me a hand with the retouching, which used the skin from an undamaged finger rotated, resized, and warped to replace the fiber of the wrapped bandage. I bet you can’t tell which finger was fixed using this virtual plastic surgery! Edit: Over on Flickr, I had some incorrect guesses about which finger was fake. It took quite a while for Marty to “finger” the index finger on the model’s right hand. I think it is significant that it took a while for someone to point out the faked finger, after all there are only ten possibilities. It’s almost like a kind of visual Turing test. Apparently, sophisticated viewers of a photo can’t tell which part was digitally created and which part was captured directly by the camera. The moral: don’t take the reality of anything you see in a photo for granted. Nocturnal Geometry, photo by Harold Davis. View this image larger. The model wore one of those old-fashioned mesh veils, pearls, and not much else. In Photoshop, I applied the Topaz Vibrance adjustment to the upper portion of the image, using a duplicate layer, a layer mask and the Gradient Tool. I scanned a crumpled piece of paper stained with coffee grounds, loaded it into Photoshop, and sized the scan to match the photo. I used a LAB equalization to rev up the contrast and texture in the scan. 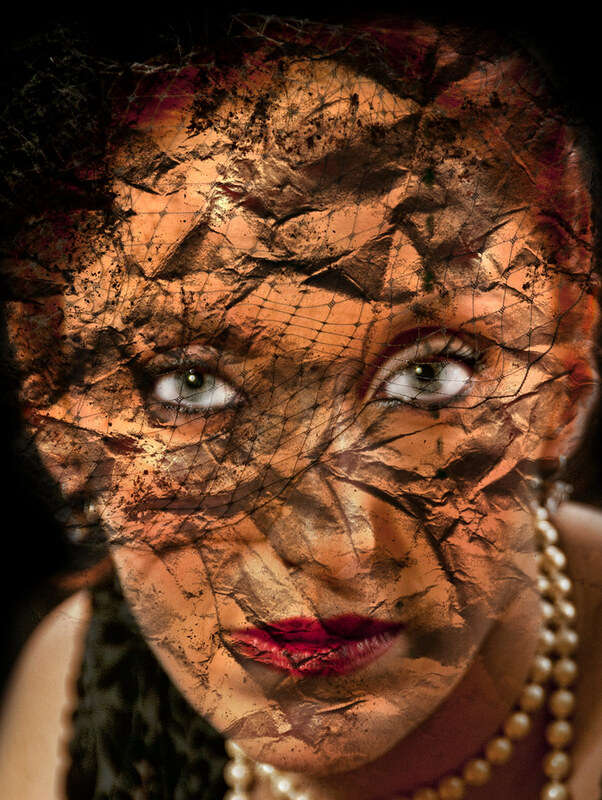 Next, I used a layer mask to selectively apply the scanned paper as a texture in Overlay Blending mode to the portions of the model’s face covered by the veil. I made sure to leave her eyes alone, so that they seem to stare through the shapes made by the texture—as if her eyes would stare right through you in the night. A nocturnal geometry frightening in its raw desolation.